Eight suspected internet fraudsters have been arrested by the operatives of the Economic and Financial Crimes Commission, Ilorin Zonal Office. A report into the arrest revealed that they were arrested following a tip-off and surveillance carried out around Irewolede, Ilorin, Kwara State. 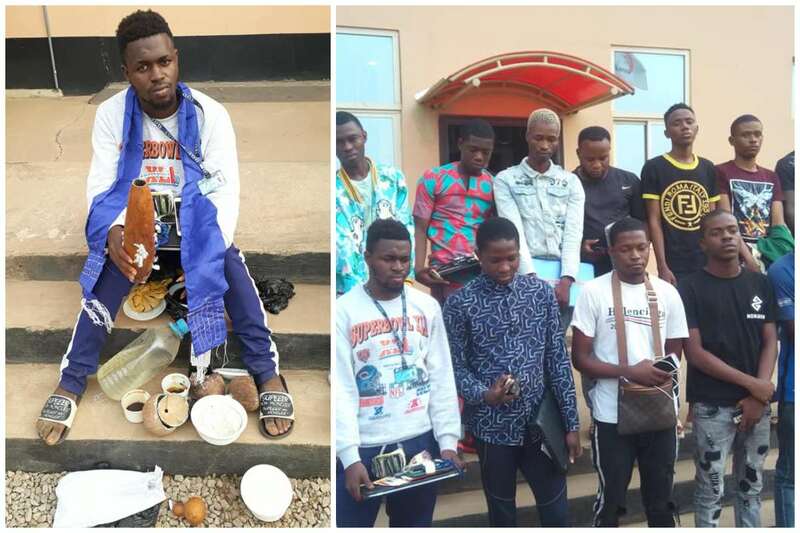 The suspected fraudsters who were apprehended include, Chimezie Paul, 19; Oluwakayode Adebayo, 25; Mustapha Akeem, 19; Ezedigboo Paschal, 19; Mustapha Suleiman, 21; Mohammed Umar Faruk, 25; Abolarin Samuel Sunday, 23, and Anolarin Ridwan Gbolahan, 25. The commission in its statement revealed that among the items recovered were laptop computers and mobile phones. The suspects will soon be charged to court. In a similar event, the EFCC Port Harcourt’s Zonal Office also apprehended five suspected internet fraudsters in a sting operation. The agency said their arrest was based on intelligence reports of their alleged suspicious activities. The suspects are: Emenike Ulu, Uchenna Samuel Nwogu, Kelvin Ogbonna, Richard Uduma and Collins George Isilabo and were all arrested at No.22 Alcon Estate, Liberty Street, Woji, Port Harcourt, Rivers State.